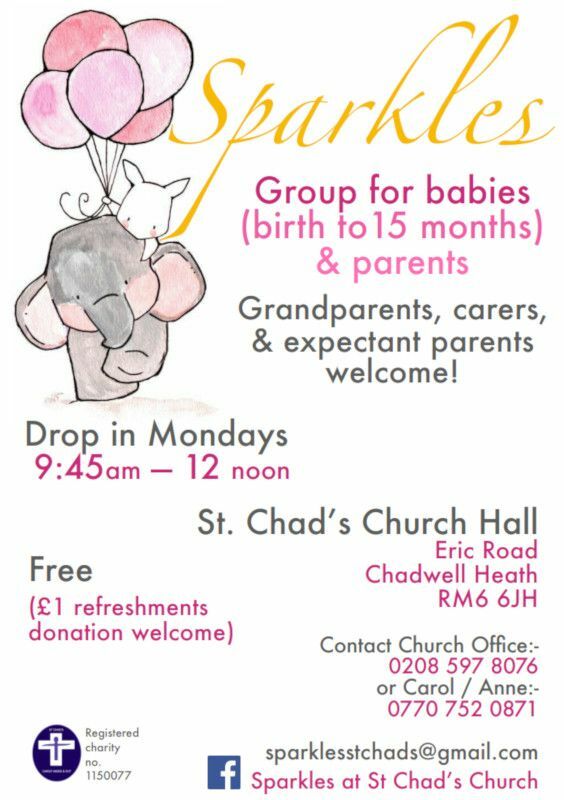 Sparkles is for babies up to 15 months, their parents, grandparents, and carers. Expectant parents are very welcome! You’ll find a warm welcome and a chance to meet other families. We’ll have time for a song, lots of quality age appropriate toys & books which are safe and clean and a clean soft floor space to explore safely. We have a large car park, changing facilities; you can bring your buggy; and you are welcome to feed your baby.